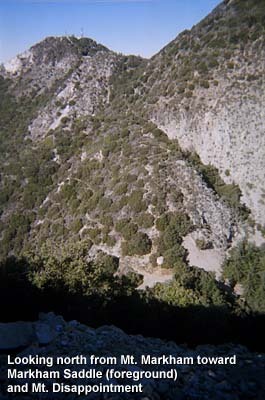 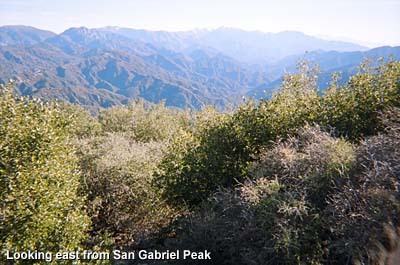 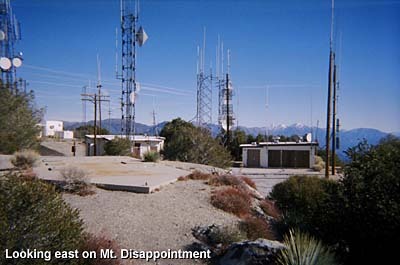 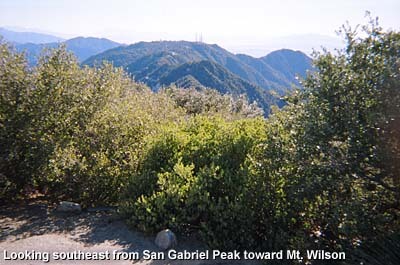 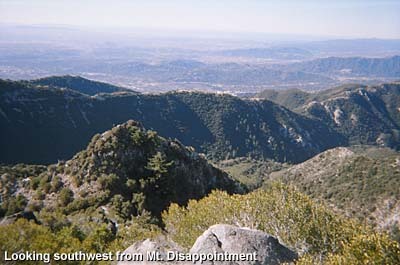 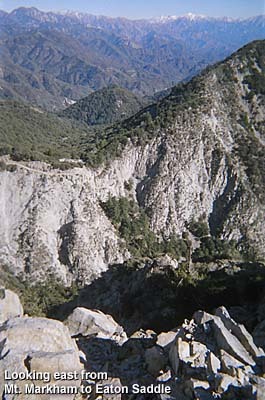 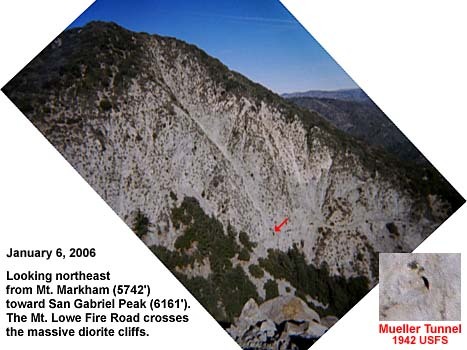 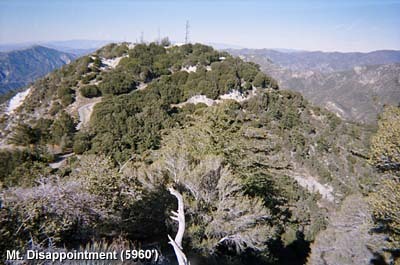 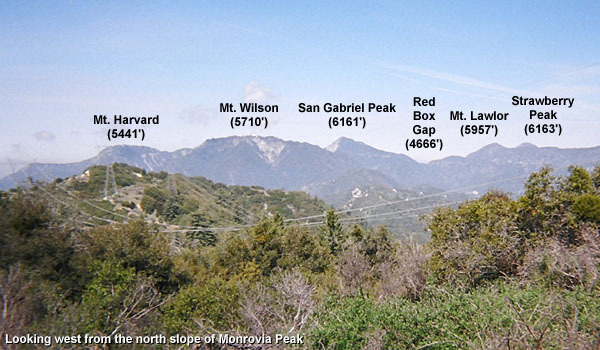 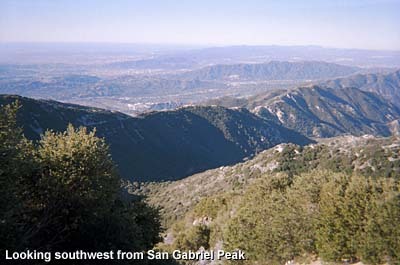 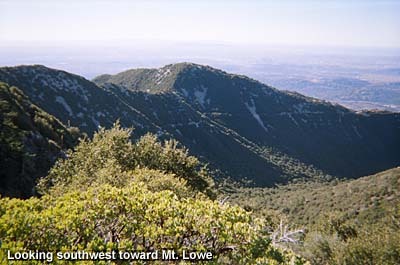 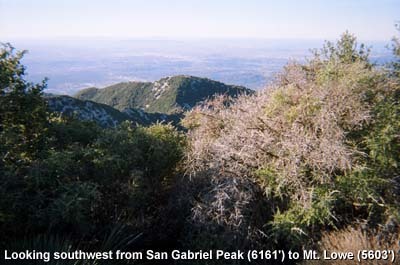 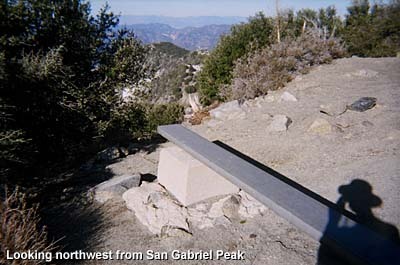 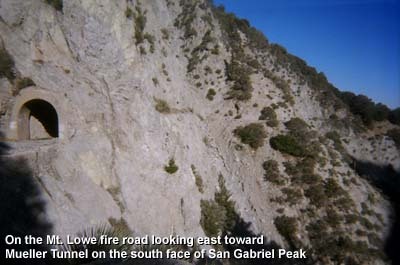 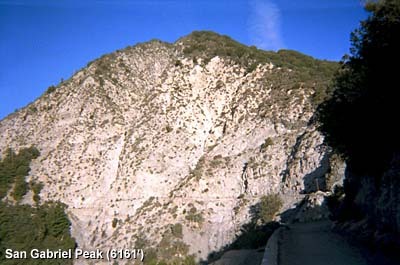 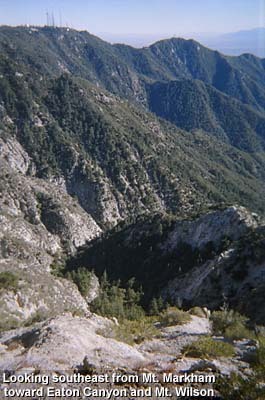 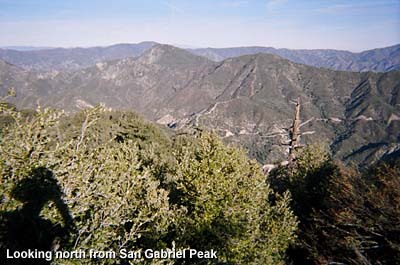 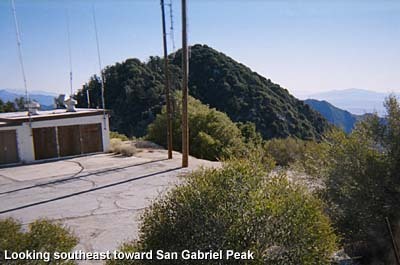 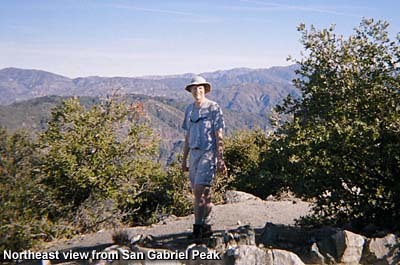 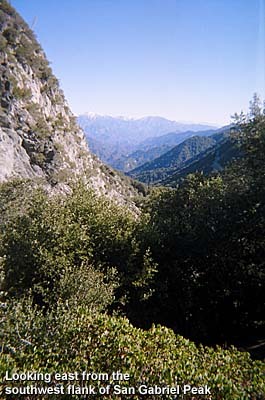 San Gabriel Peak (6161') has the distinction of being the second highest peak in the front range of the San Gabriel Mountains, second only to its near neighbor to the north, Strawberry Peak (6164'). 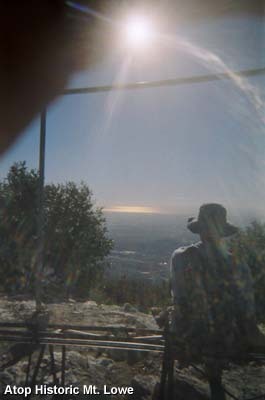 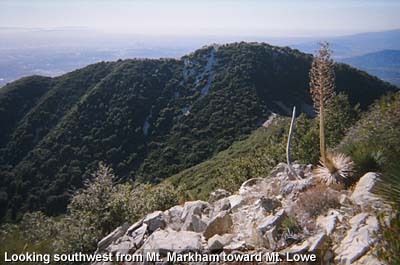 Its pointy summit makes it easy to spot on the skyline. 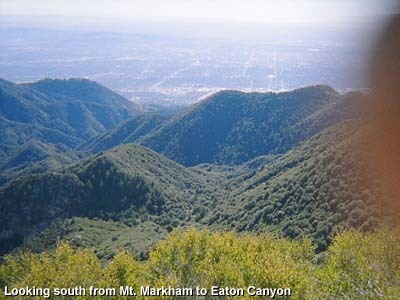 I decided to hit several peaks for the day, each with its own storied past. 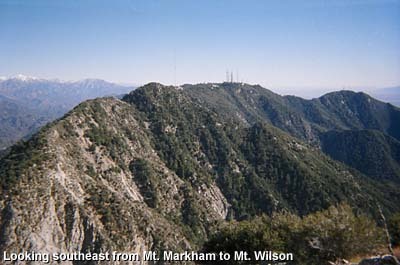 11:18 - Markham Saddle, for the second time. 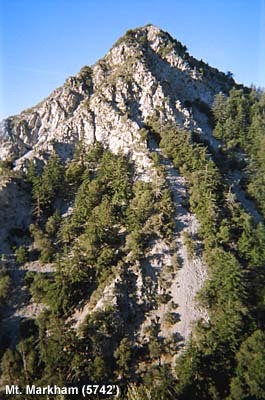 1:47 - Mt. 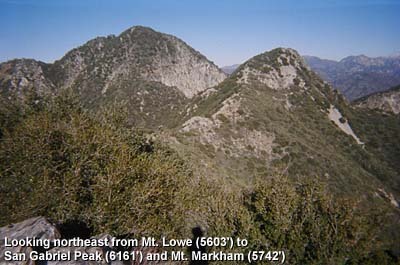 Lowe (5603'), my fourth and final peak for the day. 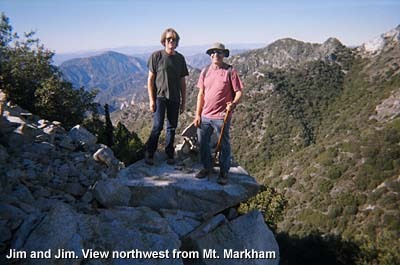 This page was last updated November 28, 2011.